Some days… that just sums up life! Wouldn’t it be way cool to live on a boat, usually in a hot sunny climate and scrounge around for food and treasure…with an abundance of rum, sun and sandy beaches? 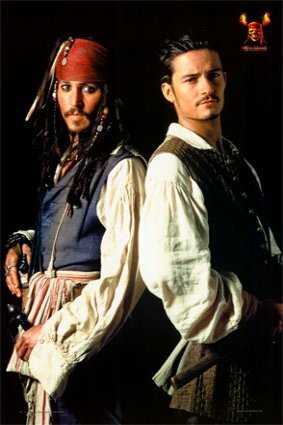 Escaping all the crappy parts of life… Don’t forget you’d be hanging out with your pirate buddies like Johnny and Orlando? Ok I know they are ONLY pirates in Hollywood..but still let me have my moment to dream! I will have to be able satisfied dressing up as a pirate, talking like a pirate once and awhile..and sometimes changing my FaceBook language to pirate once and awhile… this is something you SHOULD try today in honour of “Talk-Like-a Pirate-Day”! So, Drink up, me hearties! Have some rum because I sure won’t be where I’m living!!! 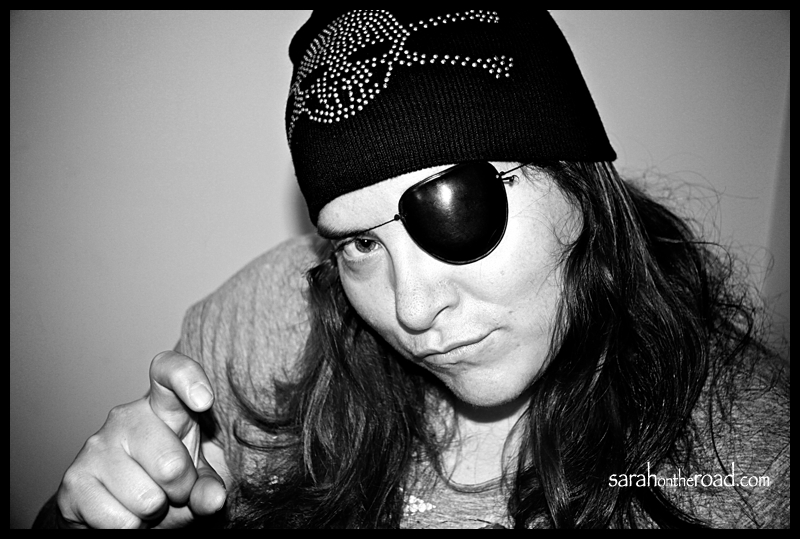 Arrrrrr… I’m off to swab me’ decks…and fill up on some grub and go in search of some buried treasure! 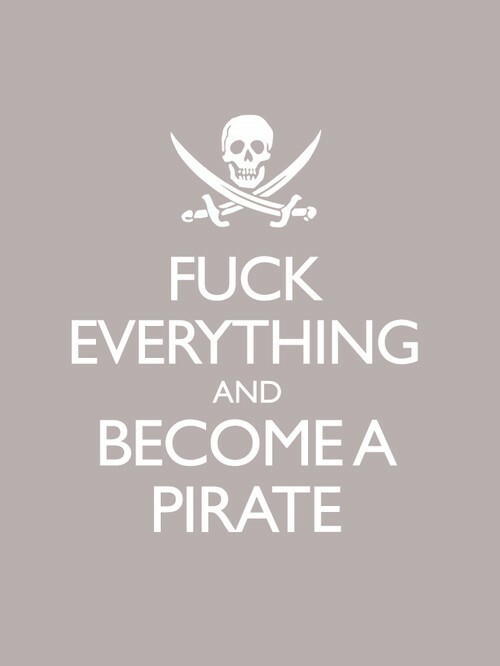 Hope you have a fantastically awesome Pirate Day! 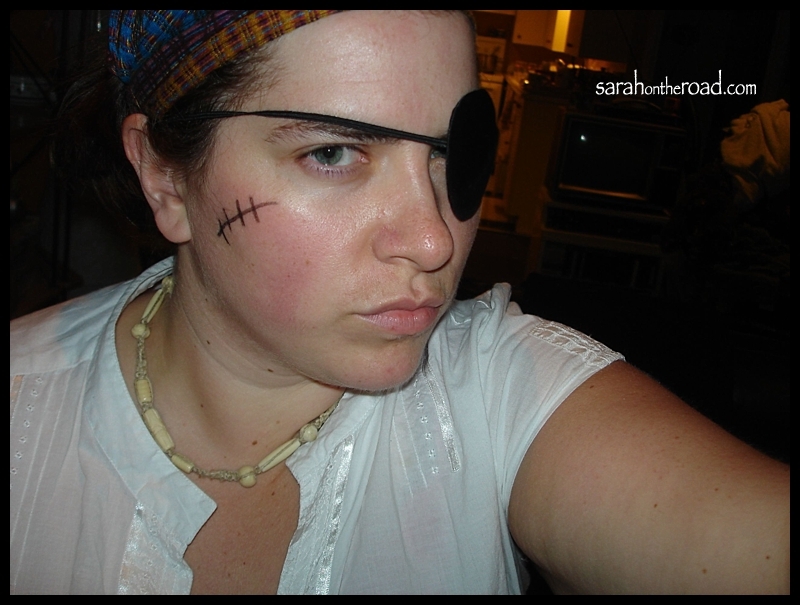 This entry was posted in Random, Rants & Reflections and tagged Pirates on September 19, 2011 by Sarah on the Road.